Shauna Gillies-Smith, Design Principal for Martha Schwartz, Inc. 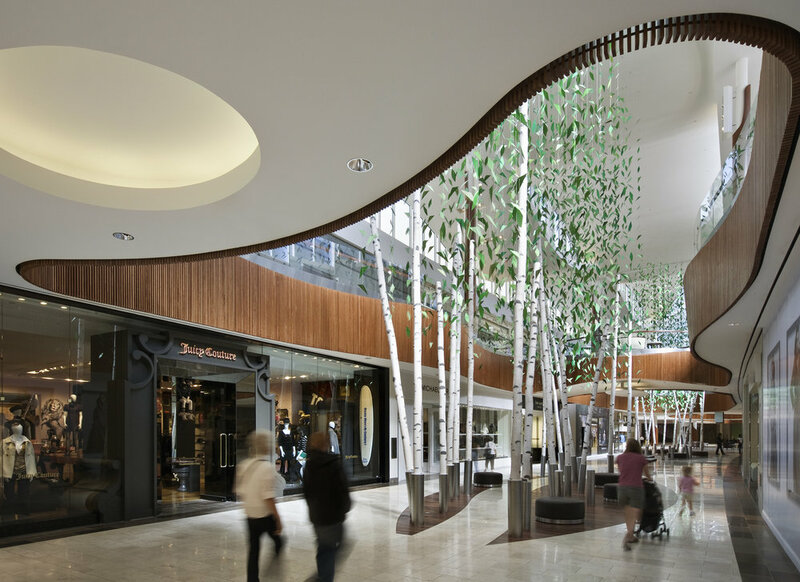 The interior landscape of the Natick Collection retail mall is envisioned as a birch forest in an abstracted form. A series of birch tree trunks, both artificial and preserved wood, create a playful landscape to move through and sit within. A dense cascade of sculptural leaves hangs from above. Made of anodized aluminum, the leaf canopy flickers with sunlight and the subtle movement of air flow, giving the sentiment of a natural landscape without the dishonest pretense. Ground, Inc. 285 Washington Street #G, Somerville, MA 02143 617.718.0889 info@groundinc.com © 2017 Ground, Inc.